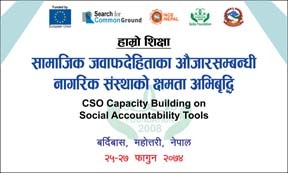 GoGo Foundation under the 'Our Education Project' (funded by European Union) organized a 3 days long 'CSO Capacity Building Training on Social Accountability Tools' from 9-11 March 2018 in Mahottarai District, Province-2 of Nepal. 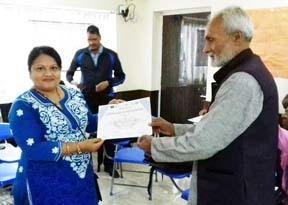 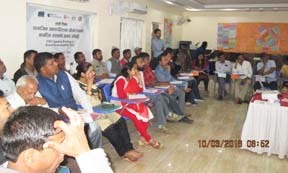 Total 30 district level CSO's participants have been graduated to enhance school governance campaign in 42 community school of the 3 districts (Mahottarai, Dhanusha and Siraha). 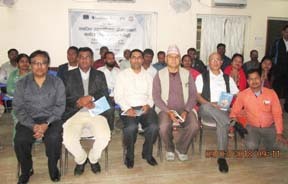 In the opening and closing ceremony of the training Mayor from Bardibas Municipality, Chairman of District Coordination Committee including District Education Officer of Mahottari were invited to express their views on the need of school governance. 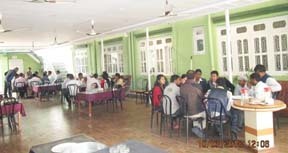 All the guest invitees appreciated the efforts made by GoGo Foundation to improve local school governance. 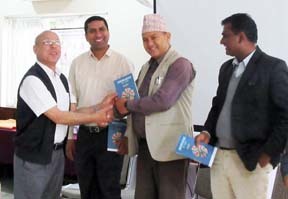 This project is a consortium initiatives between Search for Common Ground, NCE-Nepal and GoGo Foundation.